When it comes to raising children in today’s complex world, every parent needs support. Parent Coaching provides a peaceful pause from the hurriedness of daily life, allowing you time to reflect on your parenting. With the support of a Parent Coach, you can learn how to stop parenting on auto-pilot and find ways to connect more meaningfully with your children. Every parent deserves a loving, rewarding family life. Every parent deserves a Parent Coach. 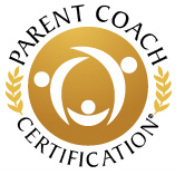 Parent Coaching is a unique, strengths-based approach to helping parents face the challenges of childrearing with competence, creativity, and joy. Together, we will build your skill set and confidence so that you and your family have a solid foundation to stand on for years to come. "My husband and I have had the pleasure of being parent coached by Julia for the past several months. We have two very young children, aged 2.5 and 1. Julia encouraged us to see and appreciate the strengths that we each bring to parenting and to our family. She made the process interesting, lively, and fun along the way. Her relaxed style, and ability to bring the conversation back to focus in a natural way was outstanding and really worked for me. Julia has a real gift in empathizing, and then encouraging personal change. She helped me visualize where I wanted to be today (back at work after my maternity leave), and I feel proud of myself that I took steps toward making that vision a reality. I have been back to work for 3 days now, and it is honestly going the way that I visualized it!" - Fiona, mother of two. LOCATED IN DELMAR, NY. SERVING PARENTS NATIONWIDE THROUGH TELEPHONE AND SKYPE.